I am so happy that Facebook exists. Accidentally found information about Hang Massive concert, which takes place in Helsinki. And of course, without any doubts, we are going! 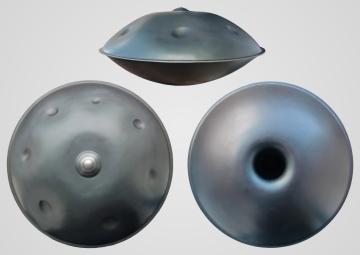 :) The handpand or hang, what they are using is a convex steel drum played with the hands and turned with multiple notes in a diatinic scale. It creates a wonderful warm sound. It is definitely my kind of music, music for the soul. After their online viral sucess Hang Massive are now touring globally. After a wildly successful tour last year Hang Massive are returning to play in Helsinki (24.10) this time in the amazing venue of Gloria. In December of 2011 Hang Massive released their first online video and music release ‘ Once Again‘. That video spread virally and since then has been seen more then 40 million times online and viewed in countries all around the world. That success introduced millions of people to an amazing new instrument and was the basis for a global and dedicated fan base excited to hear more offerings from this unique musical project. Here you can find their tour dates. 25th of October they are having a concenrt at Vene Kultuurikeskus (VKK) in Tallinn.